HITS » Richard Fellers and STEELBI Take Home the Blue in the First Leg of the World Cup Qualifier! The first leg of the FEI CSI3*-W was held as a speed class, with the fastest clear round taking home the blue ribbon. Richard Fellers, 2012 World Cup Finals Champion, and STEELBI taking home top honors, completing the course in a lightning fast time of 59.94. “I’m just super happy for her and the owner,” Fellers exclaimed. “I’m proud of the horse. She is an up-and-coming mare." Fellers took home a customized cooler, winner’s trophy, and Professional’s Choice Bell Boots for his win today. Fellers explained that this is STEELBI’s first year doing FEI classes, but he has faith that she will excel. 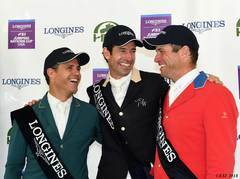 "She had a pole last week in the first class and two poles down in the second class, which was her first 1.50m, and I thought 'Okay, I bet she’ll come back fighting after that,' and she did she didn’t let me down,” said Fellers. They will be competing in the $40,200 Desert Classic tomorrow and are a team to look out for. Taking home the red ribbon, just four one-hundredths of a second behind, was Kristen VanderVeen and BULL RUN’S PRINCE OF PEACE in a time of 59.98. With an early spot in the order, just the second in the ring, Richard Spooner and QUIRADO RC's time of 62.44 put the pressure on the field early in the class. Their time would hold up for thr fouth place ribbon. 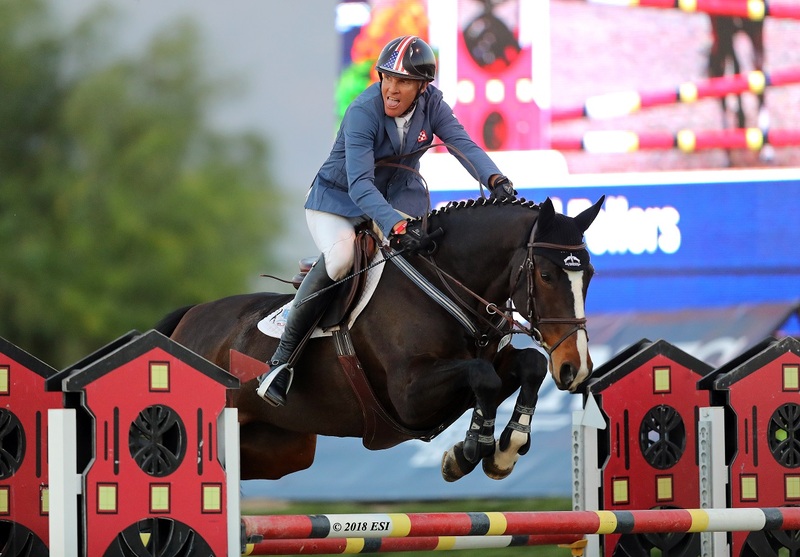 The $35,000 Desert Welcome Stake also served as the qualifying class for the $100,000 FEI Longines Jumping World CupTM qualifying class on Saturday, with 40 riders eligible to return. Don't miss out as the excitement continues at National Sunshine II with the $40,200 Desert Classic FEI CSI3*-W! Stay tuned this week and catch all the action as the $100,000 Longines FEI Jumping World CupTM Qualifier takes place this Saturday, November 10. Stay up to date with all of the upcoming HITS events via Facebook, Twitter, Instagram, Snapchat, and HitsShows.com.